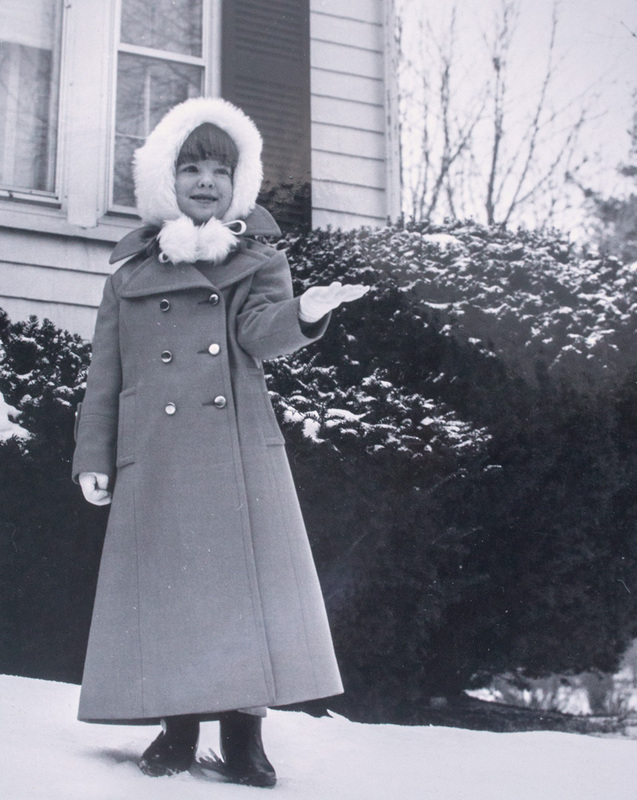 Back in the winter of 1970, maxi coats were all the rage. I was 4 years old and, trendsetter that I was, I had one. Apparently this was an unusual fashion statement for a 4 year old and I wound up getting my picture taken by Stanley Bauman. Mr. Baumann was the photographer for the City of Brockton for many many years. He also happened to be a very good friend of my Nana’s. And she happened to work at The Brockton Enterprise. Still, I’m sure that this picture wound up on the front page of The Enterprise because of my cuteness and good fashion sense and had nothing at all to do with my personal connections. The caption: Maxi Coat for Mini Miss. perfect, right? Oh, and Claudia? The coat was orange. I loved it and wore it until I couldn’t stuff myself until it any longer. « Wednesdays Are For . . . Quilting? That coat was awesome! Too bad the orangeness doesn’t come through in the black and white. Cute as can be! Right in fashion, right from a young age. In 1970 I had a coat whose cut and style was almost identical to that…the oversize lapels etc. Mine was grey wool though and I wasn’t anywhere near 4 years old…I was 16! I think I had a hat like that too somewhere along the line….again when I was in high school. My only defense for that is that I walked to school and it was warm. That photo is great! I remember my older sisters going to New York and coming home with maxi coats – I was so jealous!! Girlfriend, you were styling…at such a young age! And, at least you didn’t have to pass your favorite coat down to your stupid younger sister! Such a little fashionista! I love the hat too. Very cool picture to have after all these years. You cuteness down pat! I would have been totally envious of your coat in 1970. Very cute! I remember wanting a maxi coat at that time, but getting a regular length coat because my Mom worried that the maxi style wouldn’t last! The. Best. You are so cute! I had a maxi coat too and what I specifically remember is the polyester fabric, probably highly flammable! But did you have granny boots? I really, really wanted a pair. I did get something close enough. And the hat! I remember those hats. I loved them and I can still remember the pompoms on the string smacking me in the face if not tied properly. After they went out of style (or mine was worn out) I remember I reused the fake fur in a school poster contest that I won. I think your look is quite classic and stylish. OMG, Claudia-who-loves-orange is blogging again? Must go bookmark that. You sure are a cutie! Oh, Carole! That is just AWESOME! What a great coat — and a fun experience all around. Love the coat and Mini-miss. Yes, the early 70’s. I made myself a maxi coat out of dark brown fake fur with a tapestry fabric for the collar lapels. I loved that coat. I’m a little older than you are. 🙂 And no one took my picture. That is a great photo Carole!! Very cute. My mother sewed me a brown velvet hooded maxi coat in ’71 with brown and yellow ribbon trim over the zipper. I was 5. My sister bought me brown side zipper heeled boots and I sported a shag hair cut. Probably the coolest I’ve ever been. Your coat is super cute. I’m sure it was nice and warm too.